The management of the community is carried out by the Dean and Canons, meeting in Chapter. They are ultimately responsible for the administration of the College’s affairs and are appointed by the Sovereign. They form the only body of secular canons in the land living under religious rule (ie not Cathedral canons) dating back to the Middle Ages. They would not be able to fulfill their responsibility in the modern world without expert advice and assistance from a number of Councils and Advisory Committees. These include people from different areas of academic, professional and public life. At the monthly meeting of Chapter, The Dean, acting as ‘primus inter pares’, (first among equals), takes the chair. The Chapter is a ‘body corporate’ and the Dean and Canons share joint responsibility for all its decisions. Because the College is a ‘Royal Peculiar’ (which means it does not answer to any Diocesan Bishop) the Dean acts as its spiritual head. 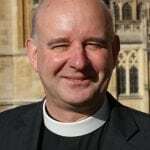 Currently the Dean of Windsor is The Rt Revd David Conner, KCVO, formerly Bishop of Lynn and prior to that Vicar of Great St Mary’s in Cambridge, the University Church. 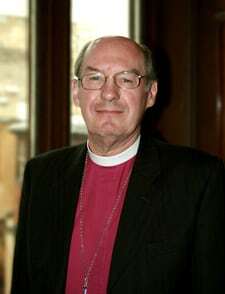 He was also Bishop to the Forces until June 2009. Each Canon has oversight of a particular area of College life. The Canon Treasurer is responsible for the College finances, with the support of the Financial Accountant and the Finance & General Purposes Committee. 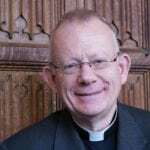 Canon Dr Hueston Finlay is currently Canon Treasurer. Canon Finlay also holds the position of Warden, St George’s House. Canon Finlay was formerly Dean of Chapel and Director of Studies at Magdalene College, Cambridge. The Canon Precentor is Canon Martin Poll. As such he looks after the Chapel and the ordering of its services. 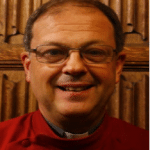 He is also Chaplain to the Great Park and Canon Chaplain, having direct concern for visitors to the Chapel, is responsible for the Chapel Stewards and their ministry, and for the pastoral care of the worshipping community. He was Archdeacon for the Royal Navy until September 2012. The Canon Steward is responsible for the fabric of the Chapel and the 55 domestic buildings which lie on the north west side of the Castle. The Chapter is advised on the care of the Chapel fabric by the Fabric Advisory Committee, and the Steward is assisted in his work by the Surveyor of the Fabric, the Clerk of Works and a dedicated Works Team. Canon Dr Mark Powell is Canon Steward. Previously he was Rector of 4 rural communities centred on Melbourne in Derbyshire. The Chapter Clerk attends and records Chapter Meetings and is responsible for the day-to-day administration of the College of St George. It is the Chapter Clerk, with her team of two, who sees to the organisation of all the major royal and national occasions which take place at Windsor. She is also responsible for tourism and retail matters, human resources, health and safety management, relations with the Press and other matters. The present holder of this post is Miss Charlotte Manley, CVO, OBE, formerly Private Secretary to the Duke of York. The Succentor The Reverend Bruce Russell is part time Succentor. Amongst his duties are singing part of the Services, supporting the Canons in their roles and administrative work with the Precentor’s department. He was Vicar of the Church of St Francis in Langley.